In the early modern period, political activity among Jews was limited exclusively to the Jewish community. In the early modern period, political activity among Jews was limited exclusively to the Jewish community. Autonomous congregational structures existed in the early modern “triple congregation” Dreigemeinde consisting of Altona, Hamburg, and Wandsbek. It was only in the modern age that opportunities to participate in general political life increasingly opened up to Jews. In the Enlightenment phase and in the 19th century, legal emancipation became the main goal Jews fought for, and as a group it led to their growing interest in political processes. The revolution of 1848 in particular resulted in a further strengthening of this interest. The Charter of Basic Rights drafted by the parliament convened at Frankfurt’s Paulskirche, which included an article on equality before the law regardless of one’s confession, caused a change. While Hamburg’s Provisional Decree confirmed this article, the city’s Jews did not gain complete legal emancipation until the constitution of 1860 was passed. In the following decades, Jews began to become active in various parties of nearly the entire political spectrum – with the exception of the radical and often antisemitic right-wing parties. However, most Jewish voters and Jewish politicians initially tended towards liberalism and, beginning in the 20th century, increasingly towards Social Democracy. In both Imperial Germany and the Weimar Republic, Jews were elected to the Reichstag as well as to state parliaments, including Hamburg’s city assembly. While their legal emancipation had remained intact during these epochs, the National Socialist regime rescinded it and disenfranchised German Jews. In the late 1930s the National Socialists began the expulsion of Jews, and during the Second World War they orchestrated the murder of German and European Jews. After 1945, surviving German and eastern European Jews rebuilt Jewish congregations in Germany. In Hamburg a new Jewish congregation emerged whose members enjoyed and still enjoy the same political rights as all German citizens. Sephardic Jews began arriving in Hamburg as merchants and physicians at the end of the 16th century. 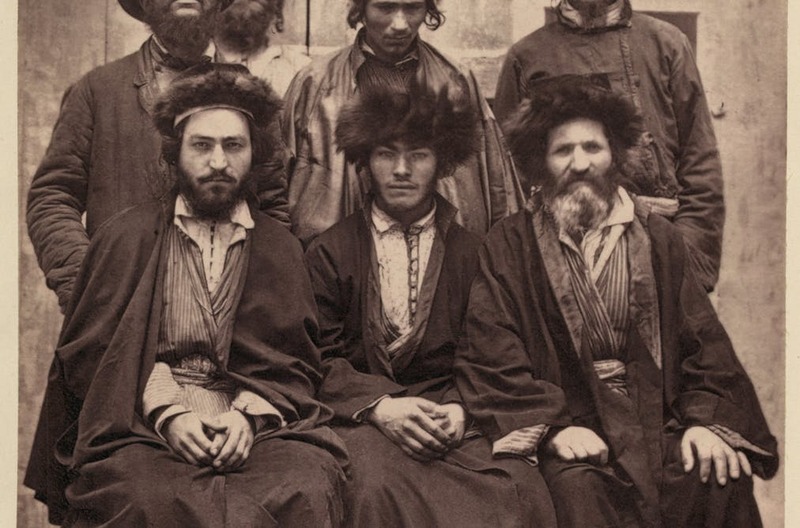 Around the same time, the first Ashkenazi Jews came to the imperial city. Some of them lived in Altona and Wandsbek, both territories independent from Hamburg. Due to the increasing political autonomy of early modern states, the Jews were no longer subject to the imperial central government, as they had been in the Late Middle Ages as so-called Kammerknechte, but to individual state governments. Nevertheless the relationship between the Jews and their ruler was still based on special regulations, so-called privileges Privilegien. In exchange for the payment of protection money, Jews were granted the right to settle in a certain area and engage in trade there. In Altona this right was first granted by the duke of Holstein-Schauenburg and as of 1641 by the Danish Crown; in Wandsbek it was granted by the local squire as of 1637. The Altona General Privilege of 1641Altonaer Generalprivileg von 1641 granted the Jews wide-ranging rights in exchange for a relatively high protection payment: they were given permission to maintain a synagogue and a cemetery and to conduct prayer services and funerals according to their own rite. They were also allowed to engage in trade and moneylending. When other Jews wanted to settle in the area, they had a say in the matter, and they were able to acquire land. Moreover, the Jewish congregation in Altona was guaranteed wide-ranging autonomy. They were allowed their own jurisdiction in the form of a rabbinical court to handle minor crimes, and as of 1731 this court had jurisdiction over all Jews in Holstein and Schleswig. In the 18th century, Altona thus had one of the most favorable legal provisions for Jews – as well as for other religious minorities – in the German-speaking lands. This policy was motivated not least by the financial interests of local authorities. Wandsbek, too, had granted a relatively favorable Schutzprivileg, which permitted the unrestricted practice of religion in exchange for relatively small protection payments. As of 1710 Hamburg’s Jews were subject to an imperial regulation stipulating the equal treatment of its resident Ashkenazi and Sephardic Jews. While they were not obliged to pay protection money in exchange for the formal right of settlement and residence, they could only hold prayer services in private homes, not in a synagogue. They were barred from acquiring property and joining the guilds, which limited their economic activity to trade and money-lending. Hamburg’s policy towards the Jews at the time – and in later periods – pragmatically took its lead from the economic and financial interests of a commercial metropolis. In comparison to many other German states in the 17th century, it was relatively hospitable, although not quite as favorable as the situation in Altona or Wandsbek. It was probably for this reason that a considerable number of Jews retained their privileges in Altona or Wandsbek even once they had settled in Hamburg: these Jews constituted legally autonomous so-called affiliated congregations Filialgemeinden, so that the legal status of Jewish individuals living in Hamburg could differ significantly. As conflicts about authority erupted repeatedly between these three congregations, they were eventually united in a “triple congregation”Dreigemeinde under the supervision of Altona’s Chief Rabbi. The political structures of early modern congregations were usually characterized by cooperation between secular and religious elites. Within the congregations the religious leadership was the domain of rabbis who made halakhic, i. e. religiously binding, decisions. The secular congregation leaders (parnassim) were usually in charge of organizing community life. They undertook negotiations with the local authorities and collected taxes, meaning they apportioned the protection payments usually demanded by Christian rulers among their flock. In Hamburg the heads of the wealthier families chose seven electors who then gathered in order to elect the synagogue president (nasi). In the age of Enlightenment debates on the role Jews played within society changed. 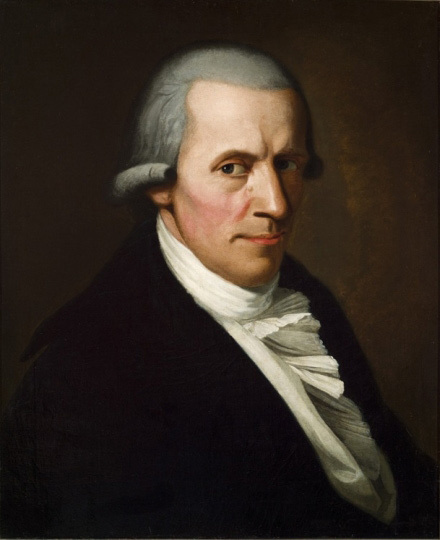 The demand for legal emancipation of the Jews was first made in 1781 by Enlightenment advocate and Prussian civil servant Christian Wilhelm Dohm. In his influential publication Ueber die bürgerliche Verbesserung der Juden he described the Jews as a religious community whose negative traits were the result of centuries of marginalization by the Christian majority society. Dohm tied the Jews’ legal and political emancipation to their social usefulness and the improvement of their civic status. According to this logic, which was to become increasingly influential in the German territories, the state first had to educate Jews before it could emancipate them gradually. In the “Holy Roman Empire of the German Nation” around the end of the 18th century there were 324 secular and church states, all of which had passed different decrees regarding Jews. After its conquest by Napoleonic troops, Hamburg formally became part of the Kingdom of France. This meant that the 1791 French law of emancipation now applied there – but not in Altona and Wandsbek – so that Jews were suddenly granted full civic and political rights. It was also during the period of French administration that the “triple congregation” Dreigemeinde was dissolved by an act of separation in 1812. It was not to be revived after the period of French government ended. Hamburg’s Jews thus no longer were under the jurisdiction of the Altona Chief Rabbinate, which meant they no longer had to pay a share of the protection money demanded there. Both the affiliated congregations Filialgemeinden of Altona and Wandsbek Jews located within the boundaries of the city of Hamburg and the local Ashkenazi and Sephardic congregations merged into one unified congregation, which as of 1821 was officially called German-Israelite Congregation of Hamburg. Many ideas of the Enlightenment also attracted Jewish intellectuals, so that a Jewish Enlightenment movement emerged in the course of the 18th century: the so-called Haskalah, which became politicized in the late 18th century. The legal emancipation of the Jews was one of the demands made by its representatives such as famous Berlin philosopher Moses Mendelssohn. In Hamburg, although home to Germany’s largest Jewish community in the early 19th century, such debates were less common, particularly because there was less interfaith contact between the Jewish upper class and the bourgeois elite than there was in Berlin. Nevertheless there were local contributions to the debate. In Altona, Naphthali Herz Wessely, a Jew influenced by the Enlightenment, published a reply to Dohm’s treatise under the name of his Christian friend Johann Christoph Unzer. When French rule ended, a period of restoration began all over the German territories during which many of the temporary legal improvements were repealed. This was also true for the legal situation of the Jews: in 1814 / 15 the Congress of Vienna failed to produce uniform rules for the emancipation of Jews in all German states. The legislation regarding Jews existing in the territories formerly occupied by France was repealed, and future legislation was left to the authority of the individual states constituting the new German Confederation [Deutscher Bund]. For Hamburg this meant a return to the legal stipulations of 1710 – albeit without a revival of the “triple congregation” Dreigemeinde. Thus an outdated legislation was now again applied to the Jews in Hamburg. Public opinion had changed, too; in the restoration period after 1815, the enemies of Judaism began to organize in many German states. There were heated discussions about the “Jewish question” triggered by an article written by Berlin history professor Friedrich Rühs. Jewish intellectuals now also spoke out against these hostile accusations. Jewish writer Saul Ascher, for example, saw Rühs’ and others efforts as evidence of a “Germanomania” using the Jews as scapegoats to create a unified nation out of a quarrelling German people. A short time later the first violent attacks against Jews occurred: the so-called “Hep-Hep” riots began in the summer of 1819 in Würzburg and caused a surge of riots in many German cities, including Hamburg. Riots occurred again in Hamburg in 1830 and 1835, supported especially by traditional groups such as members of trade guilds and small retailers, but also by Lutheran clerics. Continued political discrimination of an economically increasingly successful and socially ascending Jewish population led to renewed debates on emancipation in the Vormärz period. A growing number of Jews became interested in politics, which was reflected in their contributions to the more than 2,000 publications on the “Jewish question” that had appeared between Rühs’ intervention and 1848. Individual Jews as well as entire congregations authored petitions and treatises demanding a more favorable policy towards Jews. In Hamburg the city’s senate repeatedly discussed the question of emancipation, prompted on a regular basis by petitions from the Jewish congregation. Meanwhile the Jews never failed to point out the legal situation’s negative effects on their business activities in the commercial metropolis – an argument which certainly resonated with the senate. It was also during this period that Jewish newspapers like the “Allgemeine Zeitung des Judentums” (1837) were founded. Hamburg Jewish liberal politician Gabriel Riesser in 1832 began publishing the short-lived journal “Der Jude”, in which he formulated Jewish demands for legal emancipation. Riesser knew how to use the publicity generated by such publications in order to put pressure on political decision makers. 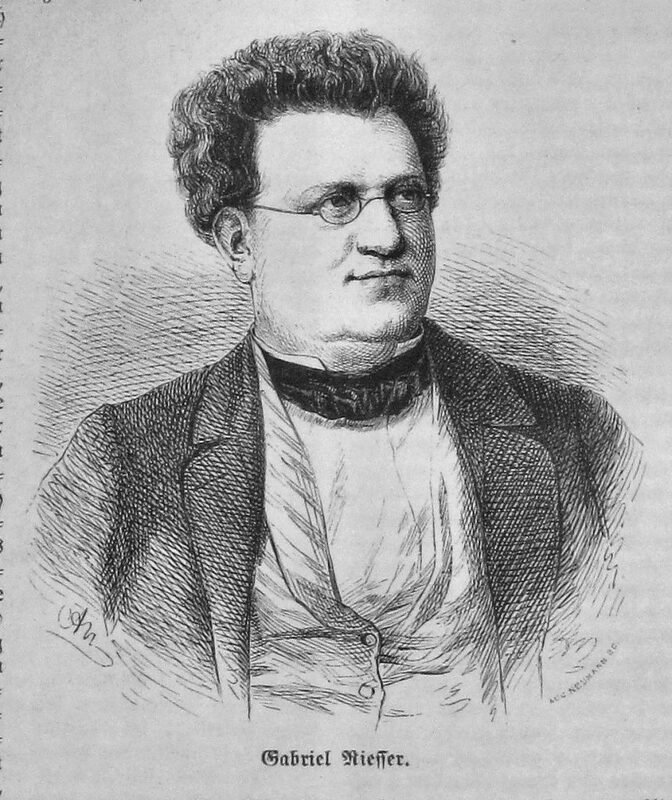 He had previously taken a stand on the issue in his 1831 publication Über die Stellung der Bekenner des Mosaischen Glaubens in Deutschland. His treatise, Denkschrift über die bürgerlichen Verhältnisse der Hamburger Israeliten, written in 1834 to petition Hamburg’s senate, was even more significant. Riesser took the debate from Hamburg to a national context. His aim was to demand “full legal equality of all citizens regardless of their faith”Gabriel Riesser, Ueber die Stellung der Bekenner des Mosaischen Glaubens in Deutschland. An die Deutschen aller Confessionen, Altona 1931. out of a liberal conviction. Success continued to depend on local circumstances, however: while Hamburg’s senate signaled a favorable inclination by establishing a commission on the matter, the enemies of Judaism organized the following year, which led to major riots and hindered progress. It was only after the disastrous fire of 1842 that another proposal for reform was made in which the senate commission also recommended granting civic rights to Jews, again without success. Until the 1840s broad interest in political affairs existed only among a minority of German Jews. In the Vormärz period the majority of Jews were religiously orthodox or conservative and presumably uninterested in politics or loyal to the current ruler. Forces supporting religious reform generally advocated a moderate liberalism while the radical-democratic camp attracted only a minority of German Jews. The flourishing of liberalism and debates on a shift in the political system towards constitutionalism only slowly began to effect a change. Active Jewish politicians were rare in the German states, including those who had converted to Christianity for various reasons – such as the pursuit of a political career. In political debates in particular, converts were all too often still identified as Jews. Therefore it makes sense to include them in a description of the Jews’ politicization. During the entire Vormärz period, an estimated 300 Jews were active in local politics. In Hamburg these included lawyers Gabriel Riesser and Isaac Wolffson, the secretary of the Jewish congregation, Moses M. Haarbleicher, pedagogue Anton Rée, and in Altona banker Pius Warburg. About 110 Jews and 50 Christians of Jewish origin were active on the interregional and national levels. Considering that the overall Jewish population numbered 270,000 (in 1820) or almost 400,000 (in 1848), this was not a large number, but it did indicate an increased interest in politics. The revolution of 1848 further reinforced this interest. For one of the central demands made by the revolutionaries – legal and political equality of all citizens regardless of their religion – was supported by many Jews. Moreover, at least 130 Jews participated in the armed revolts in Berlin, Vienna, Frankfurt am Main, Baden, Saxony, and elsewhere. Among the members of the preliminary parliament in Frankfurt that had convened as a consequence of the revolution were six Jews and six Christians of Jewish origin. Jews were allowed to stand for and vote in the National Assembly election, and seven Jews and ten Christians of Jewish origin managed to win seats in the parliament held at Frankfurt’s Paulskirche. Eduard Simson, who had converted to Christianity, was elected President of the Parliament, and Gabriel Riesser became its Vice President. The common criticism that Jews and politicians of Jewish origin had only been active in the liberal or left-wing political camps is astonishing since they were represented in nearly all political camps: from the conservative right wing to the democratic left. Riesser remained one of the most important campaigners for Jewish emancipation. 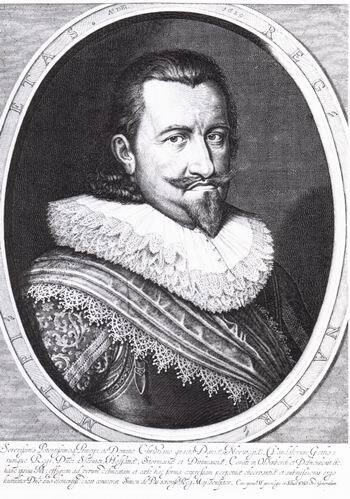 As a delegate for the duchy of Lauenburg at the Paulskirche parliament, he vehemently lobbied for the inclusion of Article 5 stipulating the equality of all faiths in the Charter of Basic Rights. The Charter of Basic Rights became part of the constitution of 1849. When the Frankfurt National Assembly was dissolved and the revolution failed later the same year, the Charter was rescinded. However, Hamburg adopted Article 5 into a “Provisional Decree” granting Jews the same rights as all non-Lutheran citizens. They were still denied the right to stand for election as well as membership in some guilds, however. For most other German Jews, the end of the revolution brought about a new phase of legal restrictions. Despite these setbacks, a return to an existence without rights had become unthinkable even for the most adamant enemies of Judaism, and thus the question of Jewish emancipation had been decided. In Hamburg it had become impossible after the revolution to undo the legal progress achieved by the “Provisional Decree”. Hamburg’s new constitution passed in 1860 granted Jews full civic rights. The Jews in Altona and Wandsbek – and all Jews in the duchy of Holstein – gained this status in 1863 when a law to this effect was issued by Danish king Frederick VII. When the German Kaiserreich was founded in 1871, (male) Jews also won the right to vote in state and national parliamentary elections, although electoral law varied from state to state. Hamburg’s constitutional reform of 1860 also had implications for matters of Jewish life and affected the legal organization of its Jewish congregation. The absolutist state had previously sought to remove the autonomous structures of Jewish congregations in many German territories. Significant interventions only occurred after legal emancipation. Thus the history of Jewish emancipation can also be understood as a history of decline since the autonomy of Jewish congregations, in some cases quite extensive, ended once the modern state emerged. In the mid-19th century, one remnant of this autonomy was the Parochialprinzip – which not only applied to Jews – that is, the mandatory membership in a recognized congregation in one’s place of residence. The patronizing role of the congregations resulting from it became indefensible in light of 19th century emancipation laws and the separation of church and state that came with them. At the same time, relinquishing this principle posed a threat to the Jewish congregations’ representational claim, and strictly devout religious forces in particular feared it might lead to the complete dissolution of congregations and even to the rejection of any form of Jewish identity among many Jews. Moreover, in Hamburg as in many other places, different religious orientations had emerged within Jewish congregations since the beginning of the 19th century. In this context civil marriage, which had been discussed in Hamburg for quite some time, was considered a threat to social cohesion within the Jewish community. As of 1861, local government offices were authorized to perform marriage ceremonies for couples of all confessions, which made mixed marriages possible. This step represented a compromise unusual in Germany since it prevented the split into two or more Jewish congregations that had commonly occurred elsewhere. The Hamburg statutes prescribed the formation of two independent religious associations – an Orthodox and a Reformed one – consolidated in a unified congregation. In 1894 they were joined by a third association of Conservative Jews. Responsibilities were distributed specifically: the Jewish congregation as a whole was responsible for schooling and education, welfare, and funerals. Meanwhile the individual religious associations were granted complete autonomy in matters of worship. Each member of the Jewish congregation was free to choose a religious association while membership in the congregation was not required theoretically in order to join one of its religious associations. It had now become possible to imagine a Jewish atheist who was merely a member of the congregation, but not of a religious association. The “Hamburg system” put into effect a unique charter of tolerance that existed until the National Socialist state forced its end in 1938. After the 1848 revolution a small number of Jews won seats in German state parliaments. In Hamburg’s first elected city assembly of 1859, there were ten Jews among its 192 delegates. In subsequent election periods Jews were always represented in the city assembly. They were aided by Hamburg’s electoral law, which – similar to that of Prussia – favored wealthy and middle class voters while disadvantaging workers and the lower class. Since Jews increasingly rose to become members of the bourgeois middle class, their chances for parliamentary representation were comparatively good. In 1861 Isaac Wolffson was elected president of the city assembly and thus became the first Jewish president of a German state parliament. While Jews were definitely represented in the elected city assembly, there were none among the ranks of Hamburg’s senate prior to 1918. It was only in the Weimar Republic that Jews, namely Social Democrat Louis Gruenwaldt and Carl Cohn (Deutsche Demokratische Partei), became senators. Throughout the era of Imperial Germany lasting from 1871 until 1918, the Jews’ political leanings remained mostly unchanged. The majority of Jews belonged to the liberal camp; their support shifted from national liberalism to left-wing liberalism during the period of the Kaiserreich, however. The conservative camp won very few Jewish votes because Jews rejected the idea of a Christian state propagated by its representatives who also frequently held antisemitic views. The same was true for the Catholic Zentrum party . A significantly large number of Jews tended towards Social Democracy, which counted a growing number of active Jewish politicians among its ranks. However, in Imperial Germany’s Jewish bourgeois circles, Social Democracy often still met with vehement rejection. In the German Reichstag, the national parliament, Jewish politicians, usually representing the national liberal or left liberal parties, also began to hold some prominent positions in Imperial Germany. Towards the end of the Kaiserreich, Jewish politicians shifted from liberalism to Social Democracy – a trend which was to continue in the Weimar Republic and which also occurred among Jewish voters, albeit more slowly. During the First World War, Jews with a business background held high-ranking positions in the national government, most importantly Walther Rathenau, who played a major role in organizing the wartime economy. As head of the Zentral-Einkaufsgesellschaft, Hamburg shipping company owner Albert Ballin helped to ensure the food supply for civil society. In the revolutionary phase of 1918/19, Jewish politicians briefly became highly visible in German politics because it was mainly left-wing liberals, Social Democrats, and radical leftists who struggled for power after the end of the monarchy, and there was a particularly high percentage of Jews among them. Important and influential Jewish politicians of this phase include Otto Landsberg and Hugo Haase, members of the Sozialdemokratische Partei Deutschlands (SPD) and its splinter party Unabhängige Sozialdemokratische Partei Deutschlands (USPD), Hugo Preuß of the Deutsche Demokratische Partei (DDP), but also communist Rosa Luxemburg and anarchists Gustav Landauer, Erich Mühsam, and Ernst Toller. While the actions of individual Jewish activists might create the impression that Jews tended towards the left or even the radical parties in the new democracy, this was not the case: the majority of Jewish voters continued to support the (left-wing) liberal camp. At best there was an increased and still growing acceptance of Social Democracy. It resulted in part from the decreasing significance of political liberalism in the Weimar Republic’s subsequent development, which meant that the SPD came to represent a meaningful alternative. The biographies of Jewish politicians reveal a similar picture: there was no radical break, but rather a continuation of tendencies going back to the Kaiserreich. While Jews were active in almost all political parties – with the exception of the radical right and the NSDAP – the large majority supported liberalism and especially the left-wing liberalism represented by the Deutsche Demokratische Partei. In 1919, five of its 75 delegates to the Reichstag were Jews. In subsequent years, the share of Jewish delegates continued to grow, yet their total number decreased as a result of the party’s decline until there were only four DDP delegates left in the Reichstag in 1932, one of whom was Jewish. In 1871 the legal emancipation of German Jews had ultimately been won. However, opposition to it was to reignite only a few years later when a new antisemitic movement emerged. The Jewish fight against such agitation also took on a legal dimension: since the turn of the 20th century, the Central Association of German Citizens of the Jewish Faith Centralverein deutscher Bürger jüdischen Glaubens (CV) brought more than 100 lawsuits against antisemitic crimes per year. The CV also monitored the daily press and other publications in order to sue libelous publications where applicable. All too often these lawsuits were unsuccessful, however; the public prosecutor’s office generally rejected the complaints. Officially there was no legal discrimination against minorities in the Weimar Republic either. Article 136 of the Weimar Constitution granted the same rights and obligations to all citizens regardless of their faith. De jure there was to be no discrimination; de facto, however, a ubiquitous antisemitism which had grown increasingly violent due to the political polarization brought about by the First World War threatened the Jews’ equal position in society – which had not been the case in Imperial Germany. Parts of the bureaucracy continued to exhibit a structural discrimination of Jews where appointments to offices were concerned, for example, although this was not based on legal norms but rather ensured by informal processes. One major legal reform of the Weimar Republic consisted in its progressive electoral law, which gave women the vote at the age of 20. In Jewish communities, this triggered a controversial debate about Jewish women’s right to vote – and in some cases even stand for election – in their congregations. In Hamburg, women – like children – had been barred even from membership in a congregation or the religious associations during the Kaiserreich. In the congregational election of 1930 women for the first time were able to vote and stand for election. Three of the 21 seats in the colloquium of representatives were won by women: Anni Bauer, Phoebe Caro, and Dr. Lilli Meyer-Wedell. The trend towards politicization and democratization manifested itself within Jewish institutions as well. During the final years of the Kaiserreich, an abundance of Jewish associations and organizations developed, in part because Jews were unable to join general associations due to increasing antisemitism in German society. In 1893 the Central Association of German Citizens of the Jewish Faith Centralverein deutscher Bürger jüdischen Glaubens(CV) was founded: for German Jewry, themselves mostly politically liberal, it was to become the most important representative of their political interests. When the Zionist Association for Germany Zionistische Vereinigung für Deutschland was founded in 1897, political Zionism was given an effective political voice, especially on the congregational level. Other organizations included the philanthropic Aid Organization of German Jews Hilfsverein der deutschen Juden (1901) or the Jewish Women’s LeagueJüdischer Frauenbund (1904), inspired by the German women’s movement. In the Weimar Republic, in 1919, the veteran’s association Reich Association of Jewish War VeteransReichsbund jüdischer Frontsoldaten was founded in order to oppose antisemitic – and false – accusations against Jews of supposedly having avoided fighting at the front during the First World War. By contrast the small Verband national deutscher Juden founded in 1921 was of nationalist orientation. Many of these developments were reflected in Hamburg’s landscape of Jewish associations: a local Zionist chapter had been founded in 1898, and in 1901 the CV opened a local chapter as well – which often found itself in ideological opposition to the former. In 1919 the German-Jewish War Veterans’ AssociationVaterländischer Bund jüdischer Frontsoldaten, the Hamburg chapter of the Reich Association of Jewish War VeteransReichsbund jüdischer Frontsoldaten , was established. The diversity in the associational life of German Jewry was reflected in Jewish congregational policy, so that Jewish “interior” politics in the Weimar Republic were split into different parties and camps. On the congregational level there were veritable election campaigns – a development criticized by many Jews who felt the political infighting threatened German Jewry’s unity. However, the politicization of congregational activity resulted in a higher participation in congregational elections in many places during the Weimar period. Beginning with the Law for the Restoration of the Professional Civil Service [Gesetz zur Wiederherstellung des Berufsbeamtentums] of April 7, 1933, designed to remove all civil servants of Jewish origin from their positions, the National Socialist regime had passed the first of its discriminatory laws and factually revoked the Jews’ legal equality. The revocation of emancipation legislation was completed by the Nuremberg Laws passed in September 1935 at the NSDAP party rally. They were intended to revoke full citizenship from German Jews and thus also legally exclude them from the German citizenry. As early as 1933, German Jews could have their citizenship revoked on the grounds of “disloyalty,” and the naturalization of Jews who had received citizenship could be repealed. The disenfranchisement of the Jews was a complex process taking several years; for the regime not only had to change the law, but it also had to destroy everyday forms of equal participation in public life. Beginning in the summer of 1933, Jews were excluded from Hamburg’s professional associations, neighborhood associations, and sports clubs. Some public amenities such as swimming pools could no longer be frequented by Jews. Non-Jews who continued to associate with Jews were denounced as “Jew lovers” Judenfreunde. In this context the Nuremberg Laws showed their effect as they declared such relationships potential “racial defilement” Rassenschande. The Jews fought this development. A treatise titled On the Current Situation of the Jews [Zur gegenwärtigen Lage der Juden] submitted to the Reichstag by the organization Reichsvertretung der deutschen Juden in January 1934 documented the multifaceted discrimination against the Jewish population. In everyday life, too, hope for protection by the authorities had not vanished yet: Jews regularly reported violence and insults they had suffered to the police, usually in vain. Jews were systematically pushed out of politics and the political arena, so that they were limited to their own community in terms of political activity—as they had not been since the autonomy of Jewish congregations was ended in the early 19th century. In September 1933, the necessity of getting organized in the face of a hostile regime prompted the founding of the Reichsvertretung der deutschen Juden, an umbrella organization for major congregations, Jewish statewide organizations, and the most significant associations. Under the pressure of discrimination, an effective, nationwide umbrella organization had been created for the first time in the modern history of German Jewry. The governing body of the Reichsvertretung was not elected, but appointed by the major Jewish organizations and congregations. Leo Baeck was appointed as its president. In 1938 additional legal limitations were imposed on Jews nationwide. In April 1938 they had to register their private assets, thus enabling the regime to expand its already advanced policy of “Aryanization” that divested countless Jewish business people of their businesses. On November 9 and 10, 1938, the regime orchestrated a countrywide pogrom referred to as the November pogrom today. The organizational structures of Hamburg’s Jews now became a target of persecution as well. In 1937 the “Greater Hamburg Law”Groß-Hamburg-Gesetz forced the Jewish congregations of Altona, Hamburg, and Wandsbek to merge into the Jewish Religious Community of Hamburg Jüdischer Religionsverband Hamburg. The “Greater Hamburg Law”Groß-Hamburg-Gesetz stipulated the incorporation of Altona, Wandsbek, and Harburg-Wilhelmsburg and significantly expanded Hamburg’s territory. As of April 1st, 1938, all of Germany’s Jewish congregations lost their status as statutory bodies, which put them at a financial disadvantage. In Hamburg the congregation had to change its status to that of an association under private law. From now on it was under direct supervision of the Gestapo. A few months later the religious associations were dissolved, and the congregation was essentially made into a local chapter of the newly established Reich Association of the Jews in Germany Reichsvereinigung der Juden in Deutschland . The Jewish Religious Community of Hamburg Jüdischer Religionsverband Hamburg. was formally dissolved in August 1942, followed by the Reich Association Reichsvereinigung in June 1943. In organizational and legal terms, German Jewry had ceased to exist. The beginning of the Second World War on September 1st, 1939 and the attack on the Soviet Union in the summer of 1941 in particular set in motion the systematic murder of the Jews following their complete disenfranchisement. After the war many Jewish survivors found themselves in Displaced Persons camps, which became incubators for new Jewish life. At the same time Jews who had survived the war in hiding or in mixed marriages tried to revive congregational life in towns and communities. In July 1945 preparations to this end began in Hamburg after about 80 Jews had expressed interest in a new congregation. On September 18, 1945 a new Hamburg Jewish Congregation was established with the appointment of a board, passing its by-laws a month later. The Hamburg congregation later became a member of the newly founded Central Council of Jews in Germany Zentralrat der Juden in Deutschland. It filed its application to be acknowledged as a statutory body with the Hamburg senate, and its application was approved in 1948. This step was meaningful insofar as it demonstrated legal continuity with the prewar congregation, which had held the same status. Moreover, as legal successor of the Hamburg congregation destroyed in 1943, it was able to file claims for restitution and compensation, the pursuit of which represented one of the most important and complicated legal tasks for Jewish congregations everywhere in Germany. It included the debate on the re-naturalization of Jews whose citizenship had been revoked on the basis of National Socialist legislation. The Allied Control Council Law No. 1 of September 1945 repealed National Socialist laws such as the citizenship law [Reichsbürgergesetz] Law passed on Sept. 15, 1935 by the National Socialists depriving the Jews of all political rights. and the directives for its implementation, as a result of which expatriated Jews could be considered German citizens again. The West German constitution of 1949 Grundgesetz determined that anyone whose citizenship had been revoked between 1933 and 1945 could be re-naturalized. In June 1947 the Working Group of Jewish Congregations in Germany Arbeitsgemeinschaft jüdischer Gemeinden in Deutschland was established as the first cross-regional cooperation between congregations. On July 19, 1950 the Central Council of Jews in Germany Zentralrat der Juden in Deutschland was founded, partly due to pressure from the United States, but also as a result of West German wishes for a body representing Jewish interests. Considered the most important Jewish political institution, its establishment sent a signal that Jews wished to live in the Federal Republic, even if the issue was to remain quite controversial for a long time both in Germany and abroad considering the atrocities National Socialist Germany had committed against European Jews. The Central Council Zentralrat propagated a strict policy of unified congregations designed to unite different groups and their varying religious, cultural, linguistic, and political interests. Since the number of Jews in the early Federal Republic was very small and consisted of only few German and mostly eastern European Jews, there were considerable centrifugal forces to contend with. At the beginning of the 20th century the congregational structure of Hamburg’s Jews underwent another change. In addition to the official unified congregation mostly observing the Orthodox tradition, two associations of different orientation emerged: the Liberal congregation Liberale Gemeinde e. V. was founded in 2004, and the conservative Kehilat Beit Shira – Jewish Masorti Congregation of Hamburg in 2009. The Hamburg senate signed an agreement with the Jewish congregation that determines mutual rights and obligations in 2007 – similar to the agreements made with the Christian churches. The Jewish congregation was granted the right to provide religious instruction, to maintain educational institutions and cemeteries, and to collect a religious tax from its members. The city of Hamburg agreed to an annual government subsidy of 850,000 Euro. Jews participated in political life in many places during the early days of the Federal Republic. Social Democrat Walter Auerbach acted as state secretary for Lower Saxony, for example. 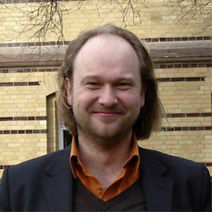 Josef Neuberger held the position of Minister of Justice in North Rhine-Westphalia. In the 1950s and 1960s, SPD members Jakob Altmaier, Peter Blachstein, and Jeanette Wolff were among the delegates to the German parliament. Siegmund Weltlinger became a CDU delegate to Berlin’s city parliament in 1959. The political career of Herbert Weichmann in Hamburg, which had begun in the Weimar Republic, was particularly significant. After his re-migration from the United States to the Federal Republic in 1948 he first served as senator for finance and was a member of the city assembly from 1961 until 1974. From 1965 until 1971 he served as the city’s mayor. During the search for a successor to Federal President Heinrich Lübke in 1969, the office was offered to Weichmann, who declined, however. Among other concerns, he supposedly worried that the German populace would not accept a Jew as Federal President. It shows that it was by no means considered natural for a Jew in the Federal Republic to embark on a political career. Institut für die Geschichte der Deutschen Juden (ed. ), Das jüdische Hamburg. Ein historisches Nachschlagewerk, Göttingen 2006, online available: http://www.dasjuedischehamburg.de/. Peter Freimark / Arno Herzig (eds. ), Die Hamburger Juden in der Emanzipationsphase (1780–1870), Hamburger Beiträge zur Geschichte der deutschen Juden 15, Hamburg 1989. Peter Freimark / Franklin Kopitzsch (eds. ), Spuren der Vergangenheit sichtbar machen. Beiträge zur Geschichte der Juden in Hamburg, Hamburg 1991. Peter Pulzer, Jews and the German State. The Political History of a Minority, 1848–1933, Jewish Society and Culture, Oxford et al. 1992. Reinhard Rürup, The Tortuous and Thorny Path to Legal Equality: ‘Jew Laws’ and Emancipatory Legislation in Germany from the Late Eighteenth Century, in: Leo Baeck Institute Year Book, 31 (1986), pp. 3–33. Ina Lorenz, Die Juden in Hamburg zur Zeit der Weimarer Republik. Eine Dokumentation, 2 vols., Hamburger Beiträge zur Geschichte der deutschen Juden 13, Hamburg 1987. Ina Lorenz (ed. ), Zerstörte Geschichte. Vierhundert Jahre jüdisches Leben in Hamburg, Hamburg 2005. This entry was posted in Uncategorized and tagged History, Jew, Judaism, Politics, Religion. Bookmark the permalink.